The forward motion of the poem here just stops to accommodate the girl's illness. I love how the speaker and the reader come inside the illness for a moment and become blanketed in it. It's a moment that enacts sickness, yes, but it's also a moment of poetry, of beauty. Caught in a circular blessing. My favorite moments of the book are moments like this one, where the loop of obsession is created in the poem and draws everyone inexorably into its vortex. It happens again in "Joanie Bach," a list of anxieties and the obsessive-compulsive actions the 'she' uses to curb those anxieties. The movement of the poem is almost tornadic—the ranging litany of fears circle the 'she' and the reader, then becomes compacted at the end of the poem, crowded into the same suffocating space of the last stanza and whipping the poem into a fevered pitch. (Although I will admit that I wished for a different ending for the poem— ending with the phrase "no resolve" seemed to release the power of the built anxiety that the list of fears had created.) The obsession I found so compelling pops up again in "Mother's Day," where Kim Addonizio's sonnenizio form is employed. Perhaps I'm reading too much into it, but formal constraints are a kind of obsessive ritual, too, aren't they? I can't help but read it that way, at least in this book where counting and repetition ward off the devil in all his forms. The sonnenizio is particularly successful here for that reason, and the dogged repetition of the word 'still' yields some wonderful moments— the speaker who, aging, "distill[s] like Crème de Menthe left open in a stifling attic"; the speaker's renaming her mother's tomb "that ornate stillhouse"; and the chilling quiet of "the snow's stillicide" that settles into the last line of the poem, sealing the poem like a tomb. a smooth wooden pool of calm. 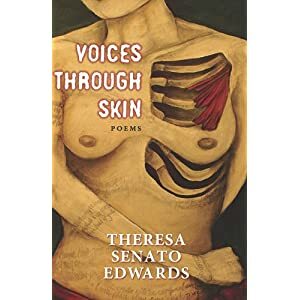 The risk, the undertow the poems work against is the threat of erasure, as in the poem "Flat & Hollow" where the blunt headline "woman found/naked in field adjoining mall" becomes so disturbing when pressed and copied onto Silly Putty. The image of the naked woman in the field is disturbing in part because of its lack of detail, its anonymity. In the act of violence, the woman has become unpersoned, and is merely another feature of the suburban landscape. The speaker of "Flat & Hollow" imagines the rest of her naked body in an attempt to recover her. the muscles to the right of your spine. the bug of your body. How neatly and bizarrely the disease is anointed in the kingdom of the body: "Lupus: the bug of your body." It is an image that sees truly, and it is an image that makes something strange and beautiful from the true. It is the disease itself, and it is the ugly beauty of the disease. It is one of my favorite moments in the book, and it's surprising in its near-levity and beauty, when the poems that have come before have been so violent, so painful, so hard-fought and hard-won. And I wanted more. But making infection and pain beautiful is a way of distancing, isn't it? It's a way to transcend and transform the everyday. And yet, it's intimacy, not distance that this book, for all its anxiety and obsession, is about. Katie Schmid is a graduate of the Wyoming MFA program, where she won the University's Outstanding Thesis Award for 2011. Her work has been published in Quarterly West, Hot Metal Bridge, Event Magazine, Best New Poets 2009 and online at The Missouri Review. Her book manuscript recently took second place in the Santa Fe Writer's Project Poetry Awards. She lives in Illinois with her husband, the musician & writer David Henson, and their two dogs.